Did you know that LED light bulbs, or light-emitting diodes, have been in production since as early as October of 1962? We bet that you didn’t happen to know that off the top of your head, but you’re already learning cool things by reading this blog post! 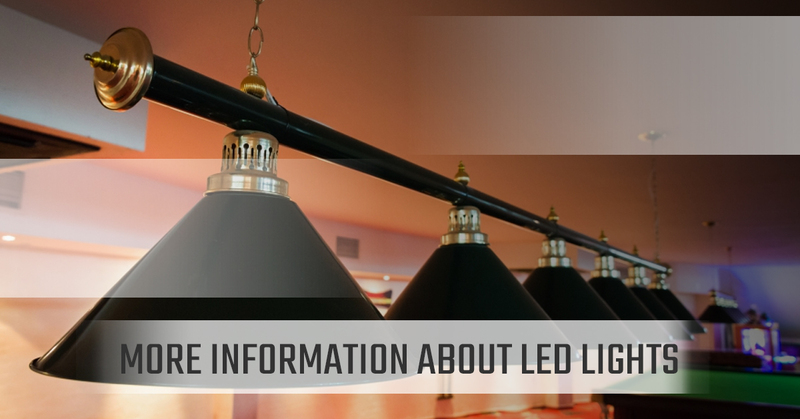 At New Edison Lights, we’re passionate about all things LED lighting-related and we want our customers and readers to be as knowledgeable about LED lighting products as we are. As the world fully transitions from incandescent light bulbs to more energy and cost-efficient forms of commercial and residential lighting solutions, New Edison Lights considers our Longmont LED lighting company to be at the forefront of this lighting revolution. By representing you as the customer instead of various lighting manufacturers, New Edison Lights is able to deliver money-saving lighting solutions for your business at a fraction of the cost of our competitors. Don’t believe us? Check out some of our testimonials or read more about how we do it here. Now, let’s dive a little bit deeper into the world of LED lighting. LED lighting is different from incandescent and fluorescent light sources in a number of ways. When an LED light in question is designed well, it acts as a more efficient, versatile and longer-lasting source of light as compared to conventional lighting sources. LEDs can be considered as “directional” light sources, meaning that they emit light in a specific direction unlike incandescent light bulbs and CFL light bulbs that emit heat in all directions. What this means is that LED lights are able to use light and energy more efficiently and in a multitude of applications. That being said, this also means that sophisticated engineering is needed to produce an LED light bulb that shines light in every direction. Consider the difference between a 9W Energy Star certified LED bulb and a standard 43W Halogen bulb. With both bulbs, you’re getting a brightness output of 800 lumens, but the estimated energy cost of the LED bulb is just $1.26 per year as compared to the halogen bulb’s estimated annual energy cost of $6.02 per year. If that’s only with one light bulb, imagine the savings possibilities with a house or building full of light bulbs and lighting fixtures! Common LED colors include colors like amber, red, green, and blue. “But wait,” you might be thinking, “Don’t most light bulbs put off a yellow or white glow?” Yes, that would be correct, and to produce this white light, different color LEDs are actually combined or covered with a phosphor material that converts that color of the light to the familiar “white” light that we know and love in our homes. For instance, phosphor is a yellowish material that covers some LEDs. Other types of colored LEDs are widely used as signal lights as well as indicator lights, such as what you would see on a power button for a computer or another electronic device. Luminescence, or emission of light as a result of heat, can range from warm to cool colors. Warm white light or soft light falls somewhere around 2200K, with neutral white light or cool white light falling closer to 3500K to 4100K. Cool, blue light, resembling that of daylight (think blue sky at noon), is on the other end of the light intensity spectrum at 6500K or more. Soft, white lights and warm lights are ideal for most indoor, residential applications whereas neutral whites and cool white lights are good for kitchens and workspaces. Daylights are great for reading due to their natural-looking light output. There are multiple reasons to choose an Energy Star certified LED light bulb beyond financial reasons and environmental reasons. Lights that New Edison carries with the Energy Star rating will help reduce your overall energy consumption even if you use your lights exactly as you did with CFL light bulbs or incandescent light bulbs. What’s not to love about LEDs? New Edison Lights is proud to light up businesses all along the Front Range of Colorado including places like Longmont, Fort Collins, Estes Park and more. Discover more about what our commercial LED lighting solutions, new LED lights and an LED rebate can do for you! Contact New Edison Lights Today For Great LED Deals!